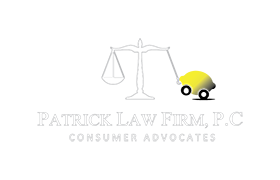 Oklahoma Lemon Law Oklahoma Lemon Law – Patrick Law Firm, P.C. Oklahoma Lemon Laws and the federal Lemon Law (the Magnuson-Moss Warranty Act) provide for compensation to Oklahoma consumers of defective automobiles and trucks and other vehicles and products including motorcycles, RV’s, boats, computers and other consumer appliances and products. To qualify under the Oklahoma Lemon Law or the federal Lemon Law, you must generally have a product that suffered multiple repair attempts under the manufacturer’s factory warranty. Lemon Law compensation can include a refund, replacement or cash compensation. 15-901: Motor vehicles – Repairing Under Warranty.